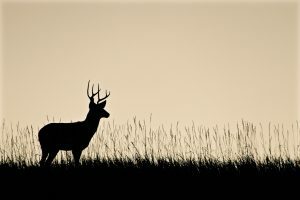 The Metcalf lab at Colorado State University is seeking a microbiome bioinformatics postdoctoral scientist. The scientist will analyze multi-omics data sets, including but not limited to: amplicon sequencing data, shotgun metagenomics data, and metabolomics data. Min. reqs. include: Ph.D. in bioinformatics, ecology, microbiology or similar field. Proficient in coding languages (Python preferred). Demonstrated knowledge of microbiome science. View full announcement: http://jobs.colostate.edu/postings/56366. Apply by 07/15/18 for full consideration. CSU is an EO/EA/AA employer and conducts background checks on all final candidates. The microbiome bioinformatics postdoctoral position will analyze multi-omics data sets, including but not limited to: amplicon sequencing data, shotgun metagenomics data, and metabolomics data. The position will be responsible for leading analyses for a National Institute of Justice funded project (developing a microbial clock for estimating the postmortem interval) in addition to several, small pilot projects. Find out more about this lab’s research at JessicaLMetcalf.com. NIJ award abstracts can be found at: https://goo.gl/fzY7do and https://goo.gl/1qP2rg. The Metcalf lab is part of an exciting new Microbiome Initiative at CSU. You will have many great colleagues – read more about us at http://microbiome.agsci.colostate.edu/! 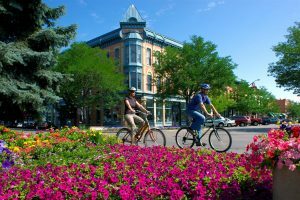 CSU is located in Fort Collins, CO. Do you love outstanding science, sunshine, wildlife, breweries, bike paths, impressive geological features, and a vibrant downtown? Then you will love Fort Collins!